Exclusive to Spawn Cycles are what we think are by far the coolest cranks ever built for a kids' bike. 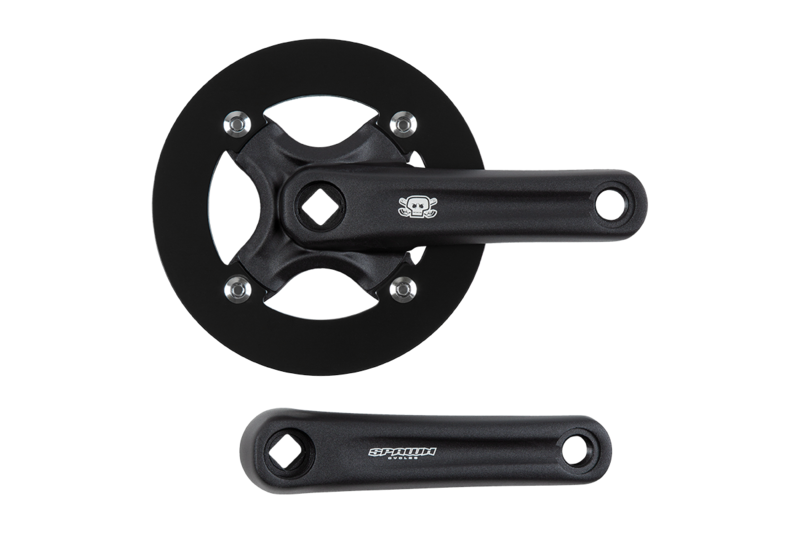 The 6061 T6 cranks with a 104mm BCD 4 arm spider come in annodized black finish with the updated Spawn logo (not exactly as pictured - they're better). Throw them on a standard square taper spindle. Comes with 32t narrow-wide chainwheel and chainguard.